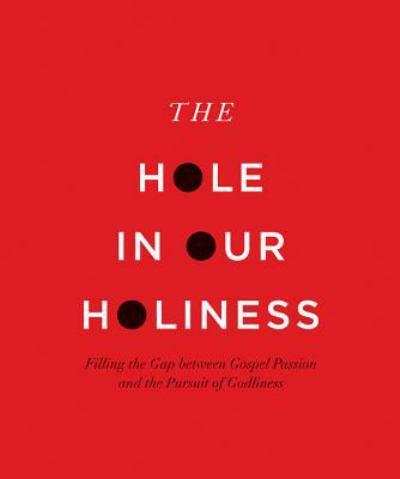 Since I’ve lamented the emergence of “The Grace Boys” and criticized the antinomian leanings of some younger evangelicals like Tullian Tchividjian (Coral Ridge Presbyterian Church) and Mark Galli (Christianity Today), it’s with a great sense of relief and gratification that I’ve encountered Kevin DeYoung’s The Hole in Our Holiness: Filling the Gap Between Gospel Passion and the Pursuit of Godliness, a winsome but uncompromising book championing the Biblical requirement of practical holiness and progressive sanctification amid a depraved world and worldly church: “The hole in our holiness is that we don’t really care much about it” (p. 10). DeYoung is no moralist: he highlights in bold colors salvation by grace though faith alone in the finished work of Jesus Christ by which our Lord’s righteousness is imputed to our account. He rightly wants to go on, however, to remind his readers that a gospel that doesn’t lead to holiness is not the Biblical Gospel. DeYoung knows that law isn’t a dirty word, and that if we delight in God’s indicatives (what He has done for us) while skirting His imperatives (how we must respond to what He’s done for us), we don’t understand the Gospel (pp. 52–61). The book is not scholarly and is much more pastoral and conversational, but it’s chock full of sound Biblical argument and is all the more effective for its directness and simplicity. Comparative old-timers like me disturbed by the new (old) breed of grace-loving but law-avoiding evangelical youngsters relish youth ministers like DeYoung, pastor of University Reformed Church in East Lansing, Michigan, who carry forward the torch of a glowing grace that leads to white-hot holiness.